Kerala is blessed with natural beauty and a great climate. It is referred to as Gods’ own country because of its amazing beauty with greenery all around. In fact, you visit any place in the state and you will find lush green coconut plantations, vast paddy fields, banana plantations and lots of different plants. There are also many lush green forests that grow in abundance due to the good rainfall. Apart from all these, one of the main attractions of Kerala are its beautiful and extravagant waterfalls, most of which are within forests and surrounded by greenery which makes them all the more amazing to watch. It is not just the most famous waterfall in Kerala, but you will find its name among the most popular waterfalls of the country. 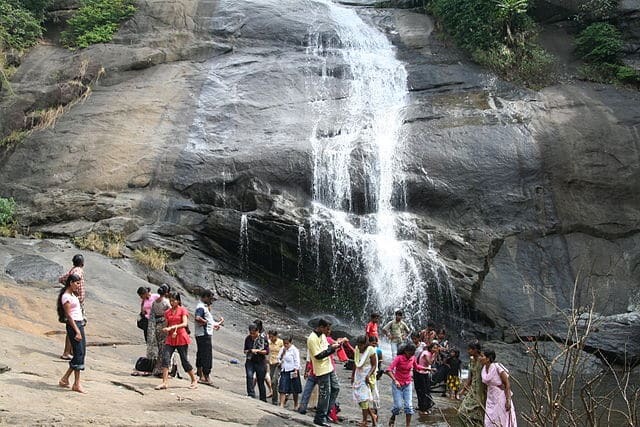 The water falls from a height of 80 feet and flows down to Chalakudy river and is 78 kms from Cochin. It also is surrounded by forests and rich flora and fauna as it is located at the entry point of Sholaya forest ranges. 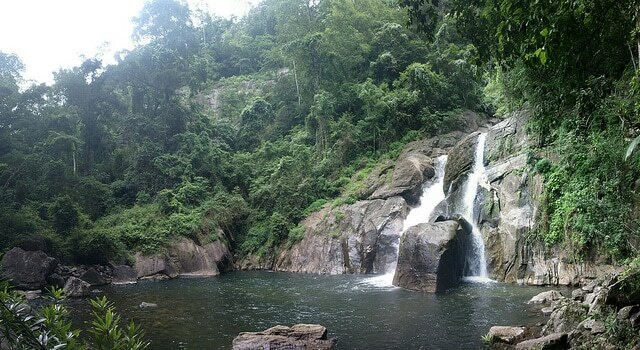 Since it is located between such picturesque surroundings, Athirapally waterfalls is also a popular place for film shootings. Many Bollywood and South Indian films have been shot at the location. Tourists from world over come to Kerala to gaze and admire the Athirapally waterfalls, which flows with its full glory and cheer, unaffected by its popularity. September to January is the best time to visit the Athirapally waterfalls. Located in the village of Mulamkuzhi in Eranakulam district, the Mulamkuzhi waterfalls originate from Mulamkuzhi river and flows through the confluence of Periya and Perumthode rivers. It is a beautiful and marvelous sight to see the water flowing down rocky mountains and then falling down as a huge waterfall. Merely standing at the site, gazing at the vast waterfall and the surroundings is in itself a memorable experience. Located at the Wayanad district which is itself a popular tourist attraction, the Soochipara waterfalls offers a blissful sight. It takes a trek of 2 kms to reach the waterfall but walking through the rocks and being surrounded by sheer natural beauty is a great experience and not one that will tire you. In fact, the trek refreshes you. The rocks are steep and one has to be careful around them, though. 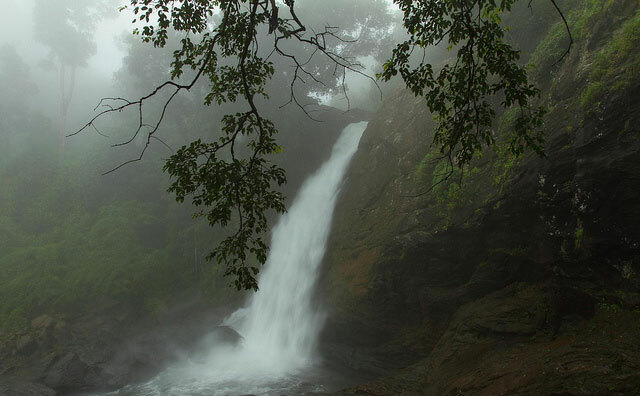 Meenmutty waterfalls is also located at Wayanad and surrounded by rich greenery. In fact, the shades of green that you will spot here, you will never be able to see anywhere else. 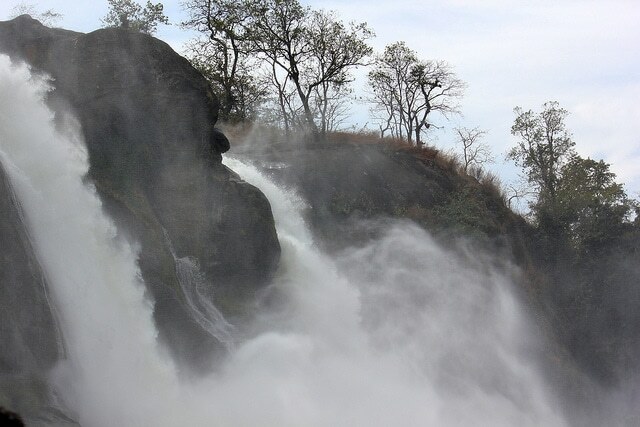 The water falls from a height of 300 m and it is a spectacular sight to see amidst the dense forest. 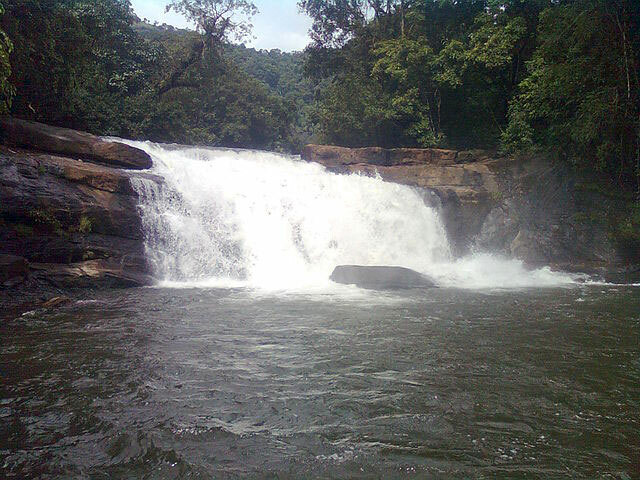 Meenmutty Waterfalls, in fact, is the second largest waterfall of the state. You will have to trek for 2 kms through rocks and down the hill to reach the waterfall. The period after monsoon is the best time to visit. The main attraction of Tusharagiri waterfalls is that it is a set of multiple waterfalls. 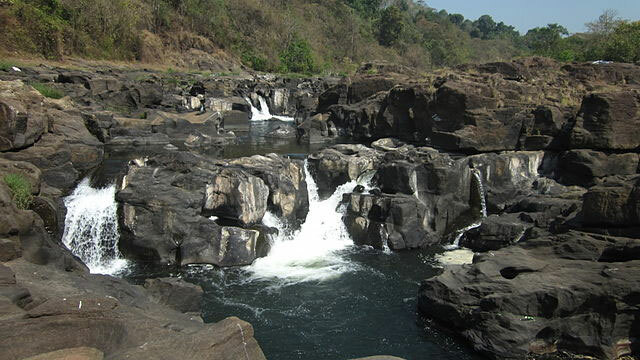 It originates from the Challipuzha river which diverges into many waterfalls, of which the first three are accessible. Other waterfalls lie deep in the forests and the trek to those can be a little risky. It is located at a distance of 50 km from Kozhikode district and is a beautiful waterfall. The meaning of the word ‘tusharagiri’ is ‘snow peak’. It is a one of its kind waterfall as it is a seven-step waterfall that looks amazingly spectacular amidst the vast valley and gives it a beautiful look. The atmosphere is serene with the gushing sound of the water, which is the only sound you would hear. There are also many caves around it which give Thomankuttu waterfall a mystical appearance. It is just 20 kms from Thodupuzha town in Idukki district. Nyayamakad is situated 10 kms from Munnar, one of the most visited tourist destinations in Kerala. It is a land of waterfalls and you can spot some more falls in the region. Nyayamakad waterfall falls from a height of 1600 m and is surrounded by beautiful greenery. The trek to the waterfalls takes you through tea estates where you can spot tea pickers at work. You also get an amazing view of the surroundings from the spot. The meaning of the word ‘Perunthenaruvi’ is a large honey stream. It is situated in the Pathanamthitta district in Kerala. Perunthenaruvi waterfall offers a great view and is a popular tourist spot for the locals and other tourists as well. The water flows through many streams and falls from a height that ranges from 60 to 100 feet. The wide spread streams are a beautiful sight to watch. 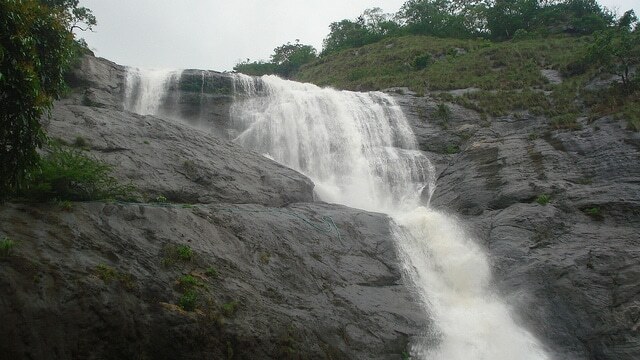 Located at 15 kms from Palakkad, Dhoni waterfalls is situated in Dhoni hills. It takes a three-hour trek to reach the waterfalls though and it is a great site for trekkers. The trek is through the lush green forests and offers a great opportunity to explore the hilly landscape. Listed at No. 40 in the highest waterfalls of India, Palaruvi waterfalls is also one of the most beautiful waterfalls in the country. Palaruvi means a stream of milk and that is how the cascading waters look from far. The water falls into a pool where swimming can be done. The trek through the forests is another memorable part of visiting Palaruvi waterfalls. It is 72 km from Kollam district and the best time to visit is from June to January. Most of these waterfalls are perennial and can be visited any time of the year. During monsoon, the trekking to the falls can be little tricky as rocks tend to get more slippery. Hence the period after monsoon is the best time to visit the waterfalls in Kerala, as you can also visit the neighboring forests and other tourist spots along with a visit to these gigantic and marvelous waterfalls.